A former German intelligence chief says NATO secrets are unsafe if are shared with Austria, joining to the growing concern among Western intelligence agencies about close ties between senior Austrian and Russian ministers. In the West, fears about Austria's credibility have been grown since last February when in a secret police raind of the Austrian inteligence headquarters agency are seized some files. The raid triggered suspicions that the far-right Austrian government had ordered raids for political reasons. "Obviously, there is extraordinary care when exchanging information," German Foreign Minister, August Hanning, Germany's former intelligence chief, BND, told to German newspaper Bild. "Secrecy must be preserved. That is, of course, very difficult when you have such a situation in Austria," he added. Senior Freedom Party officials, who are in a government-coalition with the Austrian People's Conservative Party, have called for the abolition of Western sanctions on Russia, set because of the annexation by Russia of Ukrainian Crimea in 2014. Austria avoided the co-ordinated Western deportations of Russian diplomats after the poisoning of a Russian agent and his daughter in Britain, who blamed the Kremlin for the incident. The growing proximity between the Liberty Party and the Kremlin was highlighted last week when Russian leader Vladimir Putin was a guest of honor at Austrian Foreign Minister Karin Kneissl's wedding held in a vineyard in the scenic hills of southern Austria. Putin visit transformed the private ceremony into a high-profile political event and sparked a storm of criticism in the media on Ms Kneissl for which she said she bowed to the Russian president. "Kneissl knees before Putin, this is a shame," the Austrian daily Der Standard wrote, adding: "The foreign minister has lost all of the credibility because of the the way he treated Putin." The Washington Post reported last week, one day before Mrs. Kneissl's wedding, that some Western intelligence agencies had stopped sharing sensitive information with their Austrian counterparts, raising the alarm that secrets could be given to Moscow. Police officers during the February control received classified documents packed in plastic bags. 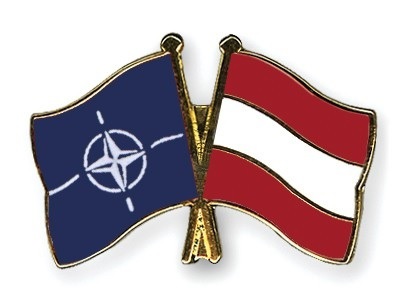 Austria is not the only NATO country that is causing an alarm in the West, in an atmosphere of growing Kremlin-friendly populist parties across Europe. In March, the VOA reported that US security agencies were assessing of what intelligence documents could be shared with Italian counterparts after the formation of a coalition government between the Right Alliance and the Five Star Movement (M5S) in Rome. Like the Liberty Party, the Italian Lega has a formal co-operation pact with the United Russia Party. M5S and Lega oppose Western sanctions against Russia, saying sanctions have damaged Italy just as much as Russia. Relations between US and Italian intelligence agencies are not as close as they are to other Western and NATO countries.